It’s February, and you know what that means: time to head west! As you get ready to head to Las Vegas and Chicago this month, make sure to take a look at our newly-released February print issue. This issue includes timely features on upcoming trends in the outerwear and contemporary sportswear markets (with a special look at what’s working in denim). Be sure to check out our picks for the best accessories to add to your buy for fall ‘19, and our 8-page fashion feature devoted to a new microtrend happening in menswear lately: westernwear. 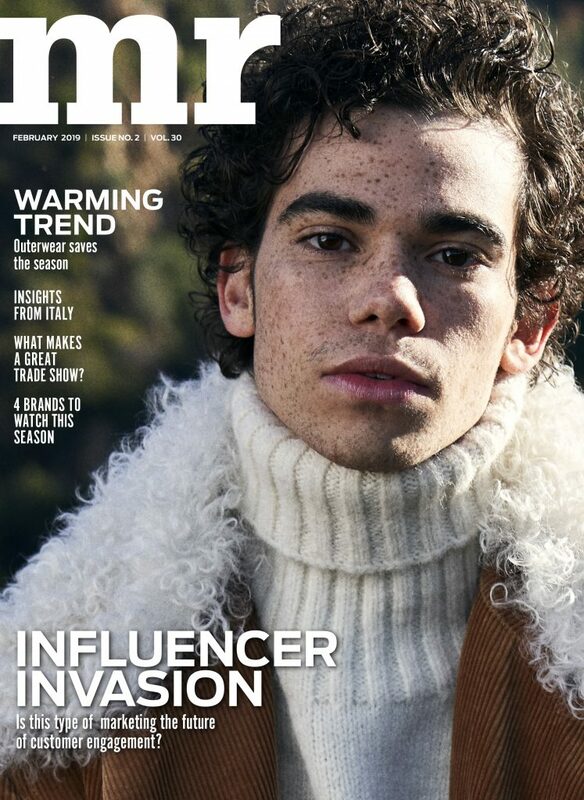 This month we also examine the impact influencers are having on retail, as well as how businesses can maximize their investment on social media through social commerce. There is also a special look at what’s coming for fall ’19 out of Milan and Florence from our recent trip to Italy last month. Don’t miss our popular “Ones to Watch” section highlighting four new brands you must check out, and our “Scene” column detailing the hottest places to eat, drink, and stay in Las Vegas and Chicago – two of our favorite U.S. marketplaces. We look forward to seeing everyone this month around the market, and travel safe! To read the entire February issue online, click here.